see van der Harten KIDS featured in the press! "Sunday Styles: van der Harten KIDS"
"...The girls are wearing vdH’s newest Valentine’s Day collection. For Siella, we paired the Long Sleeve Drop Shoulder top with Splatter Paint Leggings. It even comes with a fun matching head band. Gemma’s rocking the same top in heather gray, with this Twirl Skirt. 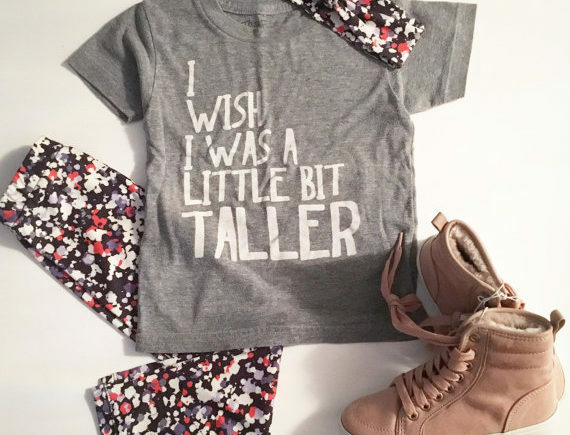 All of the pieces are so super soft and comfy, that they’ve already worn them multiple times to school..."
vdH KIDS was lucky enough to be featured in NYC momma extraordinaire Brianne Manz's blog! Read the full article on her blog. Stroller in the City Girls wearing custom pieces from the Valentine's Day 2016 mini collection. Flat lay featuring favorite legging & headband sets from the 2016b collections. Shop the look here. "Meet the Childrenswear Designer who is going Eco-Friendly"
"Meet Meaghan Lass, creator and designer of van der Harten Kids. A new childrenswear line that is not only providing fun, colorful options for kids to play in, but is producing eco-friendly pieces. I had the chance to sit with the designer and discuss her ideas, inspiration, and desires behind Vanderharten Kids." I sat down in my studio with popular blogger Ellese Launer for an interview about vdH KIDS, read the full article on her blog. "Where to Shop on Small Business Saturday"
For toddlers, I am really loving these cute headbands and matching leggings from New York base designer van der Harten Kids. At an affordable price, they will make your little one look like a superstar. You can shop online through Esty, making it convenient for anyone to support this small business." vdH KIDS was lucky enough to be featured as a top pick for Small Shop Saturday! Read the full article on the blog. Flat lay image featuring vdH KIDS splatter paint legging & headband set. Shop the look here.